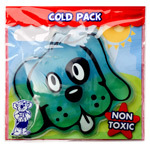 These stick on clothing labels are one of our most popular: no-hassle, simply stick on to care labels. Colourful personalised shoe labels with covers for sweaty little feet, no colour lift or creasing underfoot. 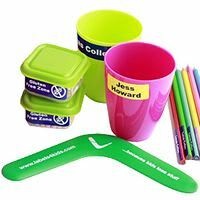 If you're needing a labelling solution for multiple objects then get this name labels starter pack. 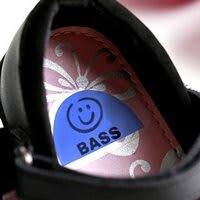 These name labels for shoes are a top seller as they don't fake, crinkle or wear off! 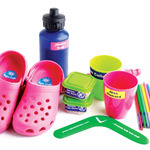 Everything you need is included in these Back to School starter packs. 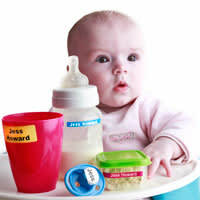 A selection of name labels for clothes, dummies, drink bottles and bosom buddy gel pack for mum. 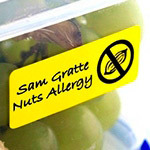 These stick on labels are one of our most popular: no-hassle, simply stick on to care labels. 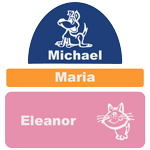 Colourful personalised shoe name labels with covers for sweaty little feet, no colour lift or creasing underfoot. 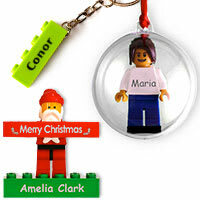 The personalised Lego Keyrings and Baubles we engrave are a popular gift for Birthdays and Christmas. 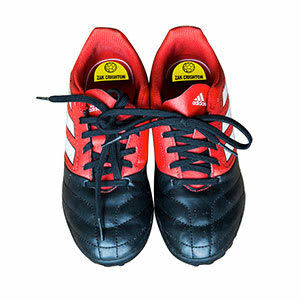 Store and carry your kids football or sports shoes in these personalised boot bags! Great gift idea that makes it easy to find the right pair of shoes in a rush. Waterproof bags made in the UK. 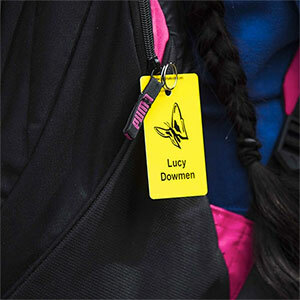 These credit card sized name tags make identifying school bags and sports bags a breeze. 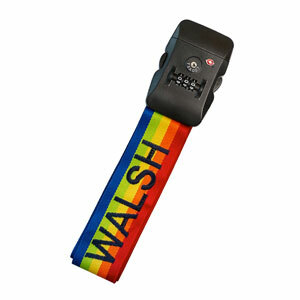 Keep you family's belongings safe with these tough TSA approved luggage straps. 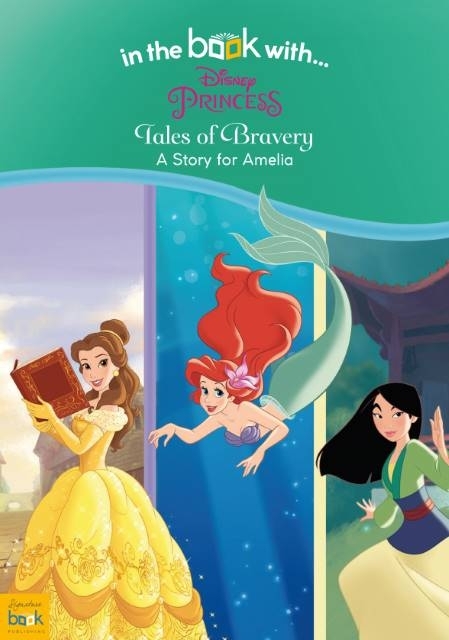 Any use by you of the website operated by Labels4Kids Limited at www.labels4kids.com (the "Site") is conditional upon your acceptance of these Terms & Conditions, including our Privacy Statement. We reserve the right to amend these Terms & Conditions from time to time without notice and at our discretion. It is your responsibility periodically to review this page for updates to these Terms & Conditions, which shall come into effect once posted but shall not apply to orders accepted by us prior to the amended text being posted. IF YOU DO NOT ACCEPT THESE TERMS & CONDITIONS PLEASE LEAVE THE SITE NOW. All references to 'our', 'us', 'we' or 'business' within this policy and within the opt-in notice are deemed to refer to Labels4Kids Limited. 1. Payments - We accept payments by Visa, Mastercard, Switch, Delta, Solo, Diners Club, Electron, American Express and Switch. All prices include VAT. 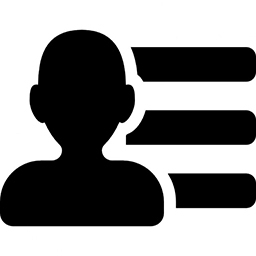 Our ordering system is level 1 secure with Stripe and also PayPal for credit/debit card transactions and fully-automated with shopping basket facilities. We do not store any credit / debit card details on our server for security reasons, and all data is submitted via universally accepted, secure encryption techniques. 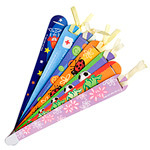 For corporate orders we are also happy to accept your payment by pounds sterling cheque made payable to Labels4Kids Limited or by credit/debit card through the Stripe online terminal system. 2. Refund and Returns Policy - Labels4Kids will accept returns up to a minimum of 14 days for unwanted goods and 30 days for faulty/damaged goods, whether or not these are personalised for the customer. 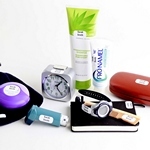 Items not conforming to the online description should be returned promptly and we will replace them with the correct products and return your postage. If you are completely unsatisfied a full refund will be provided. The limit to this rule is where an item is over £100 and 30 days have expired. If this applies then no refund or exchange will be given. Please contact us at [email protected] before you post your products back and state the reasons for the return so that we can endeavour to improve our service and expedite resolution of your claim. Where the goods are not delivered or are damaged in transit we require the customer to complete a P91 Denial of Receipt Letter to confirm failure by Royal Mail to delivery their package. This form is sent direct to the customer by Royal Mail. The customer should return this form to Royal Mail otherwise Royal Mail will not reimburse to us the cost of production for lost post. We are instructed by Royal Mail to wait 15 working days to allow delivery of items dispatched to UK postal addresses, 20 working days for European postal addresses and 25 working days for the rest of the world, and we generally adhere to that advice. In the event of a Royal Mail dispute or postal strike we must wait 15 working days to allow delivery of orders dispatched to UK postal addresses, 20 working days for European postal addresses and 25 working days for the rest of the world, and we generally adhere to that advice. 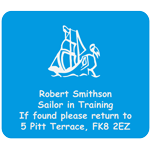 After that time we will rerun your labels if they are still missing and also place a postal claim for lost post with Royal Mail for the value of the goods to reclaim this. We need your cooperation to do so and you will be required to complete a P91 denial of receipt form which Royal Mail will send to you. 3. Delivery Costs and Times - For Average Delivery Times see the Delivery Section. The timings below relate to speed of postage delivery, not manufacture. Delivery costs are liable to change at any time and will be updated on the website. Delivery times quoted are estimates based on Royal Mail and we are not liable for additional postage or courier costs in the event of a Royal Mail dispute or delayed Christmas mail times. 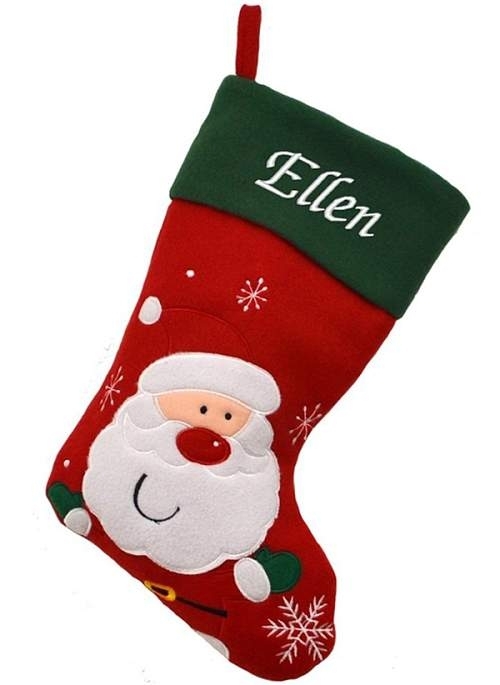 Express delivery DOES NOT MEAN LABELS OR PERSONALISED GIFTS/PRODUCTS CAN BE PRODUCED ANY FASTER THAN THEIR PRODUCTION TIME SHOWN ON THE RELEVANT PRODUCT PAGE OF THE WEBSITE, but it does mean that ONCE YOUR ORDER HAS BEEN DISPATCHED your delivery should be guaranteed for the next working day. We always post 1st class within the UK. 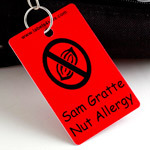 Your labels should be with you within 2 weeks of ordering. 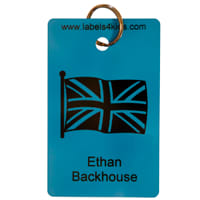 White iron on and woven iron on labels tend to have a longer production time and so can sometimes take longer than 2 weeks to arrive. 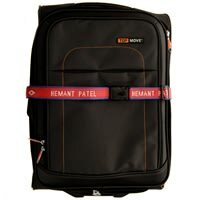 As such we say to allow 21 days from order date just as a safeguard so that we will always deliver faster than our projected delivery time to the customer and not disappoint. 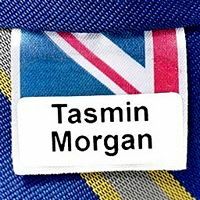 As a guideline our press and click name tags, personalised bag tags, stick on labels, woven sew on labels and vinyl labels are generally with the customer within a week if ordered on their own. Our products are definitely worth waiting for! We only charge delivery once per order even though you may order more than one item. 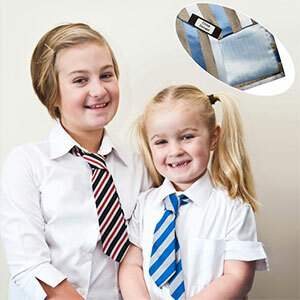 We endeavour wherever possible to dispatch orders as quick as possible particularly where there are important deadlines like return to school dates. We always post first class within the UK to get the labels to you as fast as we possibly can. Please note we cannot send Special Delivery or International Signed Post to Post Office Box (PO BOX) addresses. See more Delivery and Rates.